Sober Solutions LLC's recovery living centers are committed to providing safe, habitable housing for men and women motivated to maintain sobriety within an atmosphere of mutual peer support, companionship and personal responsibility. Our non-denominational philosophy is based upon, and emphasizes the 12 step program. By offering a structured environment, our recovery living centers foster insight, integrity, respect and independence for each program participant. 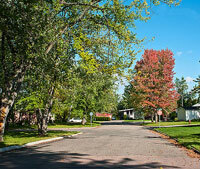 Our houses are located in the following towns: Manchester, East Hartford, Enfield, and Waterbury. * Disclaimer: Sober Solutions LLC is NOT a treatment or clinical provider.